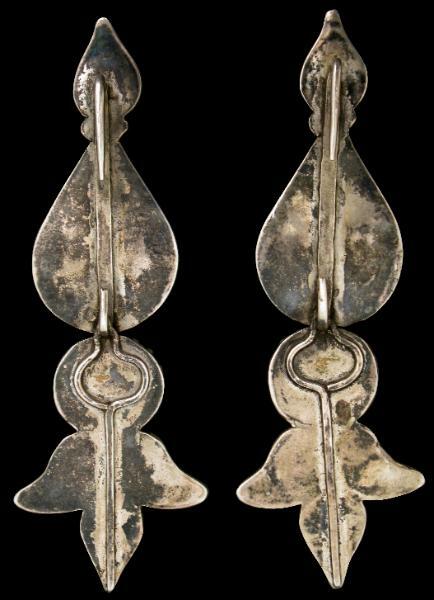 This matching pair of ear pendants shows signs of significant wear and age. The pair is set with old cabochon turquoise and old coral beads. The surrounding silver has a lovely, soft patina. 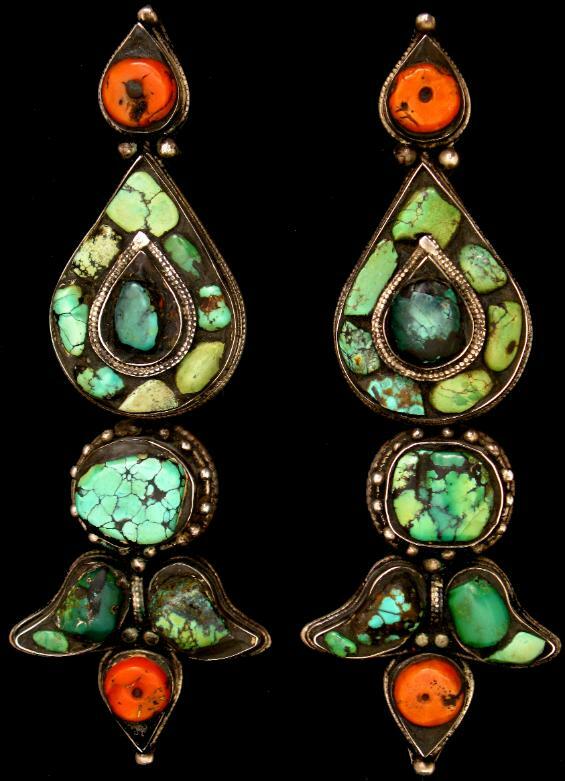 Pendants such as these were too heavy to be worn from the ears and so were worn near the ears as if they were earrings. Typically they were suspended from the wearer’s headdress, or hung over the head. These examples are typical of the Lhasa style and were worn by aristocratic wives. The ends are in the form of stylised lotus buds. Ear pendants of similar form are illustrated in Casey Singer, J., Gold Jewelry from Tibet and Nepal, Thames and Hudson, 1996, p. 126; and in Clarke, J., Jewellery of Tibet and the Himalayas, V&A Publications, 2004, p. 73.